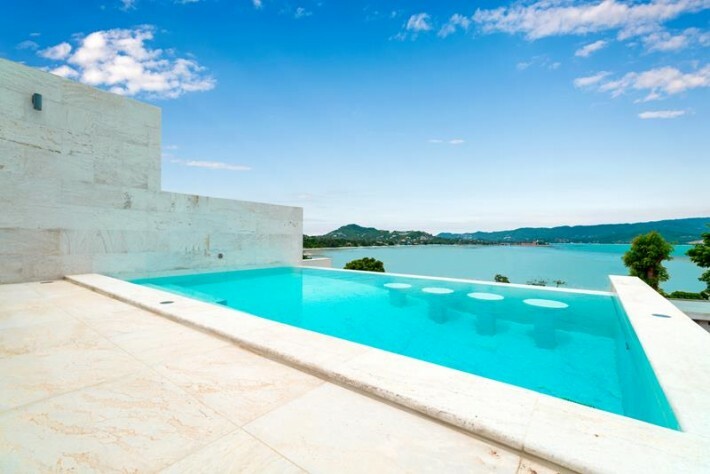 This contemporary and beautifully appointed Koh Samui villa for sale with breathtaking panoramic views to Big Buddha and the sea sits on a peaceful development in the sought after and popular location of Plai Laem on the north-eastern coast of Koh Samui. 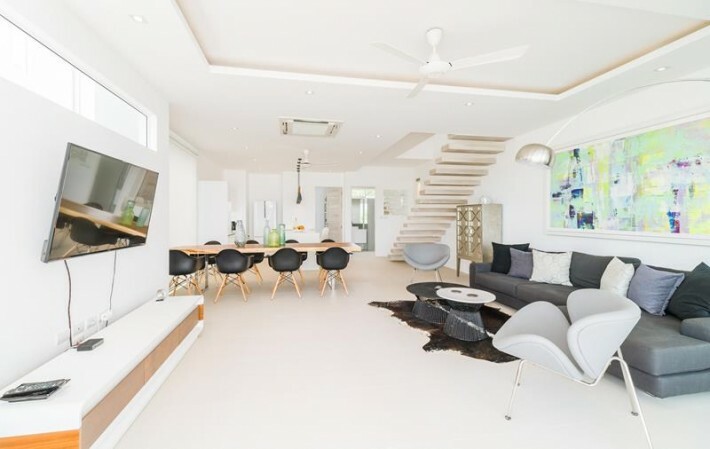 The modern development offers 24 hour security and has its own landscaped tropical park and a private access to the beach. 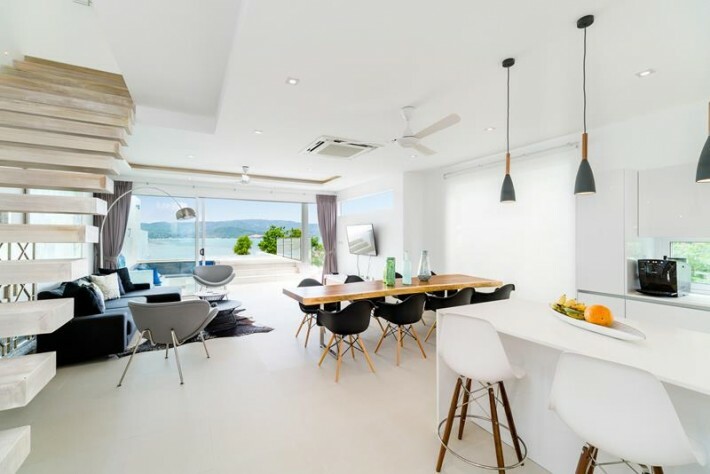 The impressive Koh Samui property for sale is spread over three floors and comprises of a spacious open plan living and dining area, a fully equipped modern kitchen and a guest wc on the first floor, along with a separate laundry/storage room to the rear. 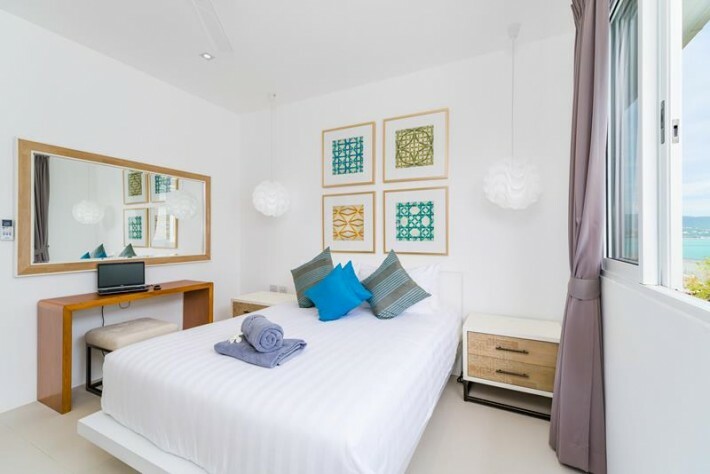 The elegantly furnished area offers plenty of space for get-togethers and opens onto a large covered terrace and infinity edge swimming pool looking to the sea. 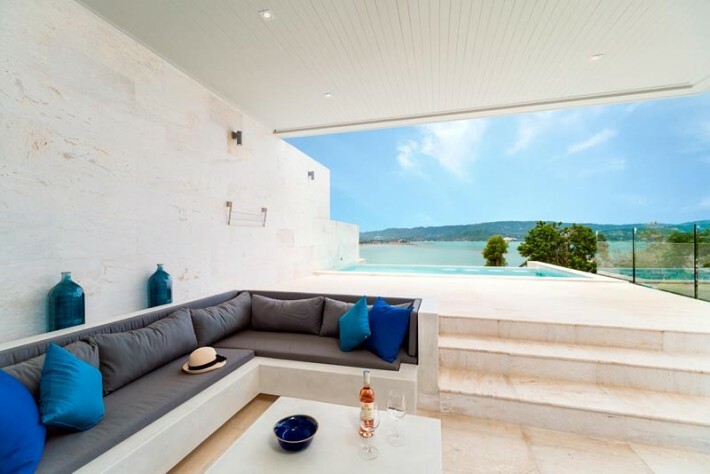 To the side is a lounge area with comfortable seating, a perfect place to relax, read a book or just take in fantastic views and mesmerizing sunsets. 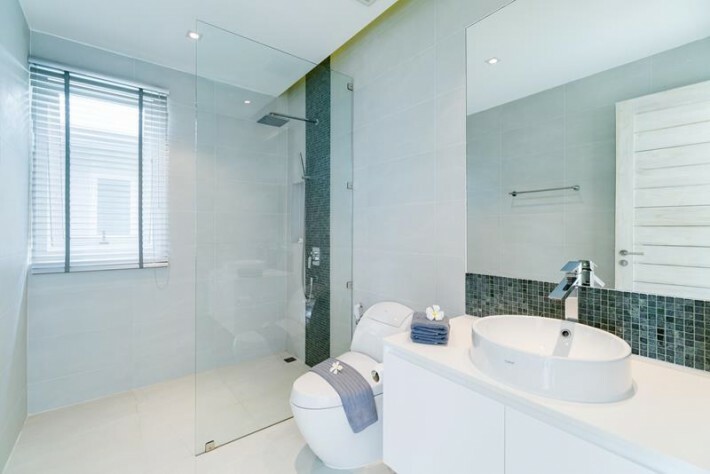 A floating staircase takes you up to the top floor with two ensuite bedrooms plus a spacious master with ensuite bathroom. 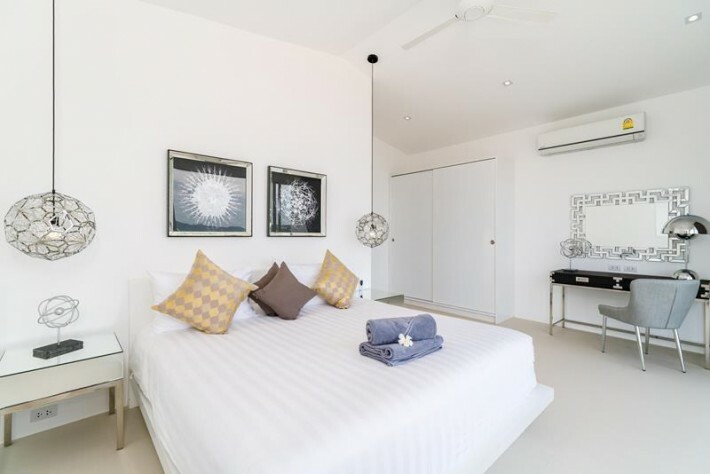 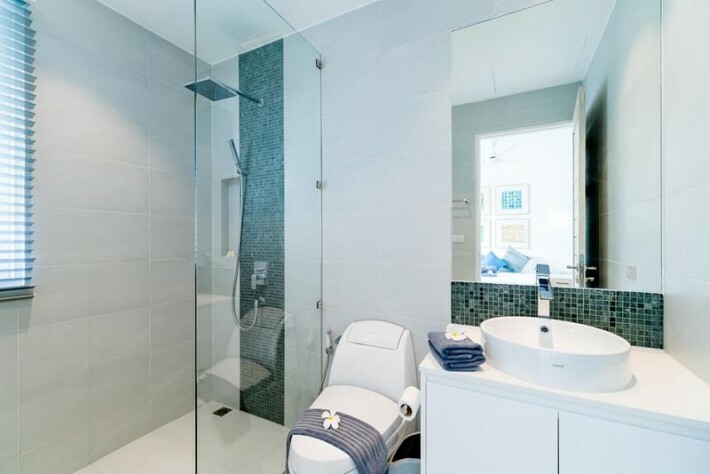 The master bedroom opens onto a private balcony and enjoys stunning sea views. 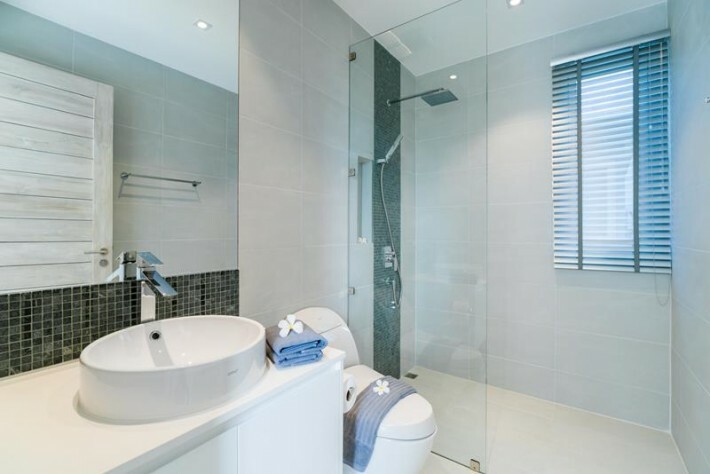 All bedrooms are stylishly furnished and decorated with the attention to detail and supreme comfort in mind. 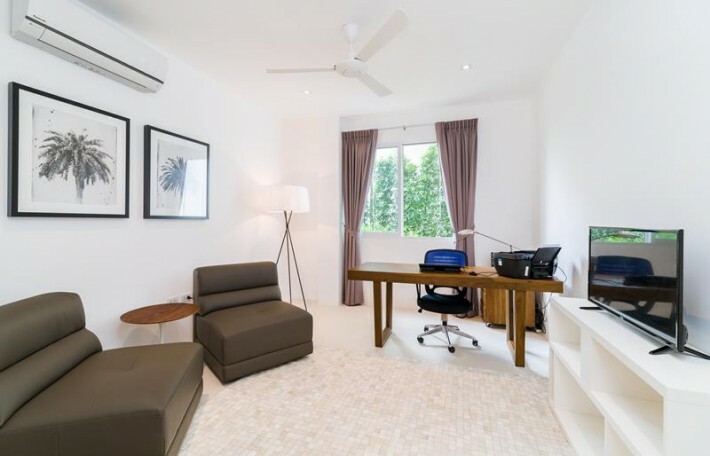 On the ground floor is a study, generously sized storage room and the fourth bedroom of the property with a separate bathroom. 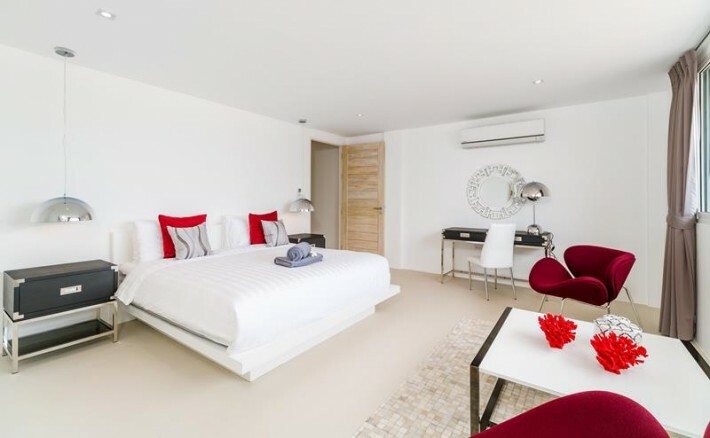 The bedroom is accessed by an external staircase and is very private, ideal for guests visiting. 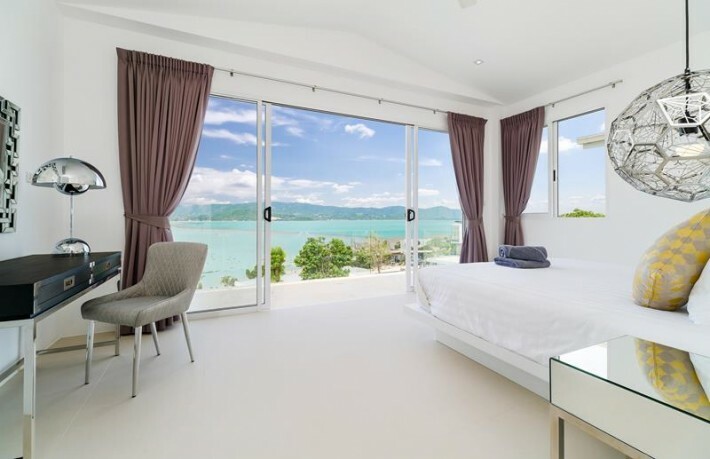 This Koh Samui property for sale features high ceilings and panoramic sliding doors which let plenty of natural light and breezes in and make the inside and outside merge. 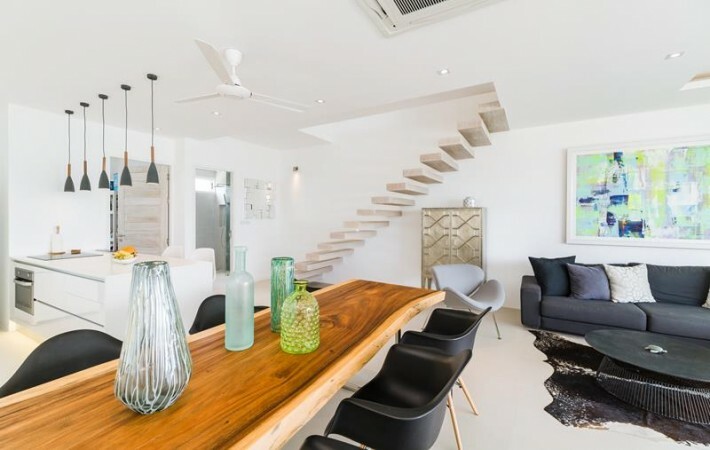 Just a couple of steps from the beach, the villa will make an ideal permanent residence for those who wish to live on the island and/or prefect rental investment due to its superb location. 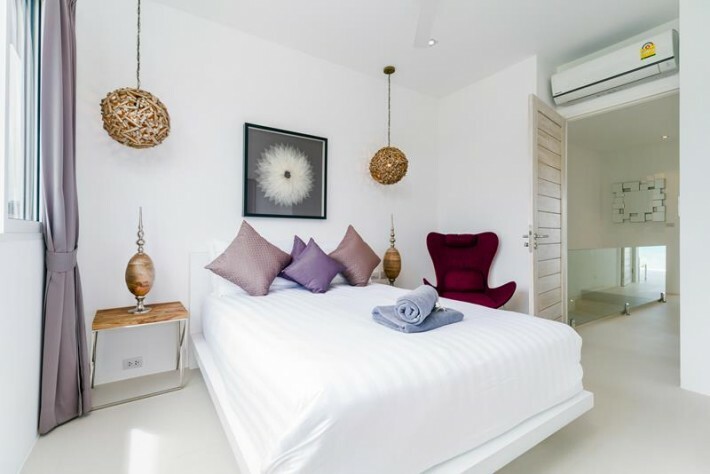 The beautiful beach of Choeng Mon is just 5 minutes away with many restaurants and bars to choose from, plus the numerous boutique shops of Fisherman’s Village and The Wharf in Bophut, along with the nightlife of Chaweng are just a 10 minute drive away in each direction.